Using Switches and Switching Systems with people who have Severe Learning Difficulties. 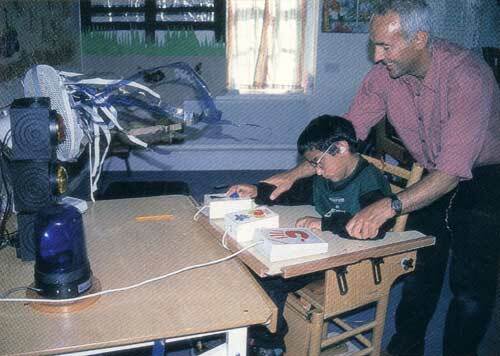 Practical ideas for the use of switches in developing enjoyment, confidence and progressive learning - especially with children and adults whose learning difficulties are complicated by physical or sensory impairments. Booklet reproduced with kind permission of Chris Addis and ROMPA.